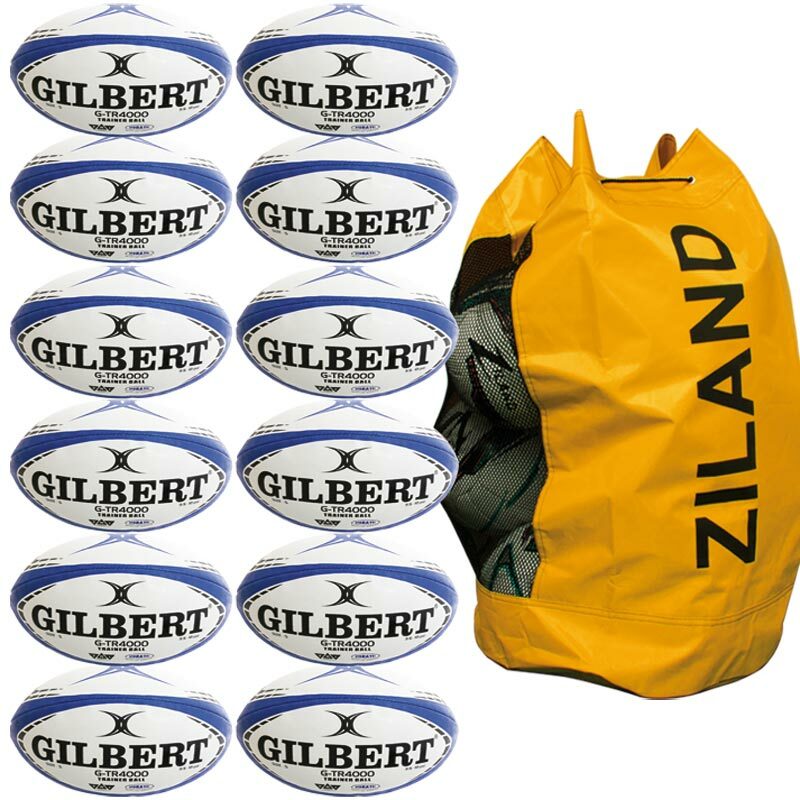 The 12 Gilbert ® G TR4000 Trainer Rugby Ball Pack is an excellent value of 12 balls with a quality bag. Gilbert's new patented triangular surface grip pattern represents a major step forward in grip technology on training balls. Tests have shown that this new, more defined pattern is hard wearing and allows the player more surface area contact with the ball when handling. 12 x Rugby balls size 3, 4 or size 5. Hand stitched Hydratec. Tri grip technology balls. 2 Ply poly cotton and cotton laminate balls. Playing level: Club, school, junior and mini. Breathable bag with adjustable strap which easily holds 12 balls. Great balls, and very fast shipping! Absolutely recommended!